Vidual is an Austrian imported mare and bears the prestigious ‘T/H’ brand on her left shoulder as a testament to her breeding heritage. Vidual is sired by Amtsrat who himself is a champion in Europe. 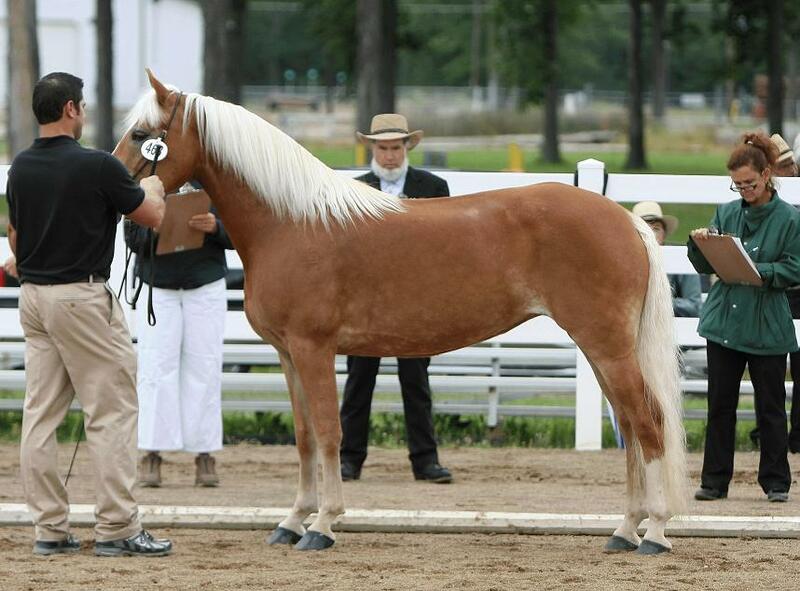 On top of claiming many halter titles for himself, this stallion is known throughout Europe as a performance horse and has produced many performance champions. 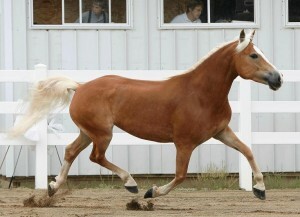 Vidual’s bloodlines are considered to be rare in the United States. 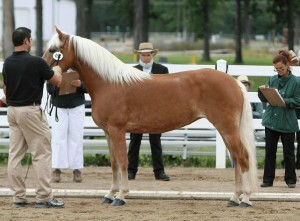 This means that she is an excellent outcross for almost any stallion in this country. Through the years, Vidual has produced many futurity champions out of several different stallions, thus demonstrating that she is an excellent producer no matter what sire she is bred to. As a broodmare, Vidual consistently passes on refinement of bone, a long clean and tapered neck and an elevated and athletic build to her offspring. Vidual was AHR silver classified in 2009 as an 11-year-old, which is quite a feat in and of itself, especially since at the time of her classification she had already given birth to 5 foals and was expecting her 6th. Vidual is trained to ride and drive. She seems to have a knack with young riders and is very careful with youngsters aboard—she carries them as if she’s walking on eggshells. She attended 4-H horse camp just a couple of weeks before her official AHR inspection and participated in a variety of classes. Vidual is in foal to our imported, AHR GOLD classified, and former AHR National Champion stallion, ‘Alfa of Genesis’ for a 2010 foal.